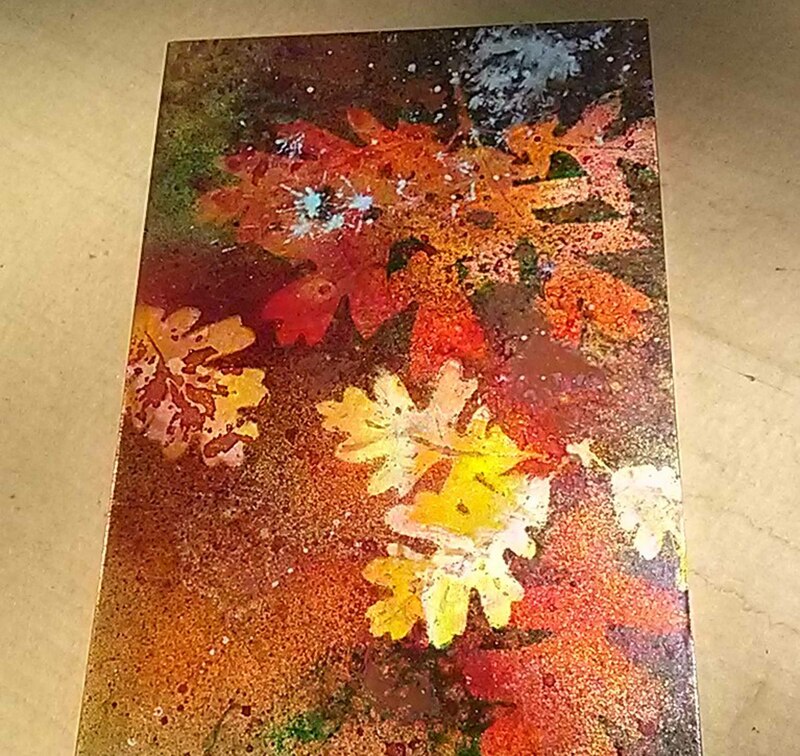 Using a variety of Patina products, we will create a unique piece of wall art celebrating the coppery colors of fall on genuine copper sheet. 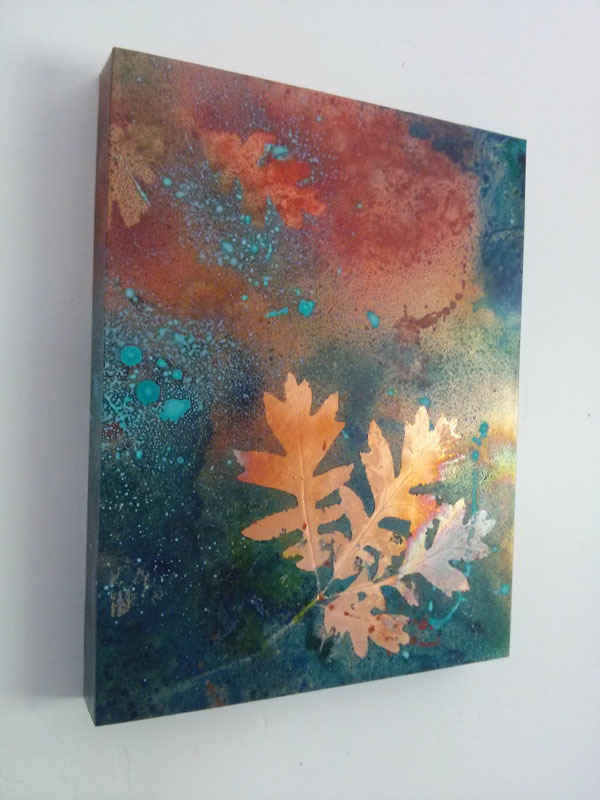 Use of heat, patinas, dyes, & oxides and real leaf stencils, to cover a 11" x 14" cradle board with the copper for a finished piece that captures the beauty of autumn. It will be a fun, creative expression of nature you will be proud to display. Learn stencils, patinas, adhesives, sealers and finishing techniques. wood cradle board 11" x 14"
copper foil 15" x 20"